From Mytilini Airport drive to Mytilene town and then follow the road to the north-west of the island, following the signs to Petra. 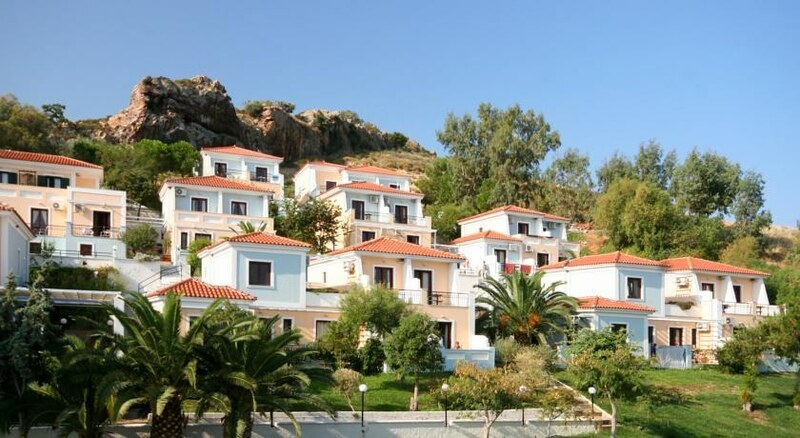 The air-conditioned hotel was designed in a Neoclassical architectural style and is set like an amphitheatre in a large 5-hectare garden, with wonderful views of the Aegean Sea and the traditional settlements of Petra and Molyvos. It has been recently fully renovated and upgraded. 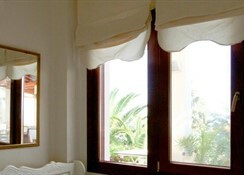 The friendly and well skilled staff always welcome guests with a great smile and are ready to offer the best service. Facilities available to guests in the 51-room beach hotel include a lobby with 24-hour reception, a hotel safe, TV lounge and a cafï¿½, bar and restaurant. 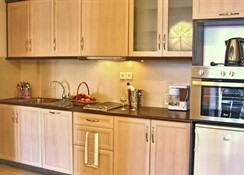 Guests may also make use of the WLAN Internet access and car park.